The local planning authority covering Stansted Airport has narrowly backed the airport’s plans to expand capacity to 43 million passengers a year. At an extraordinary meeting on Thursday (14 November) Uttlesford District Council's Planning Committee approved the application to raise the cap on the number of passengers Stansted is permitted to serve from 35 million passengers per annum. The decision was made on the casting vote of committee chairman Alan Mills after the vote was split. The council said it would issue its decision following approval by the transport secretary, Chris Grayling, who previously decided that the council - rather than himself - should rule on the application. Ken O’ Toole, CEO of London Stansted, said: ‘We are delighted that Uttlesford District Council has today approved our planning application to enable the airport to grow over the next decade. This will boost our region’s economic growth and deliver 5,000 additional jobs at London Stansted Airport. Campaigners Stop Stansted Expansion have argued that the expansion plans meet the legal definition of a Nationally Significant Infrastructure Project and should be determined nationally by an expert team in the Planning Inspectorate on behalf Mr Grayling. Following the meeting, the group said it would again ask him to call in the application. Deputy chairman Brian Ross said: ‘Of course we are disappointed to lose the argument yesterday in such a shameful fashion, with the outcome ultimately resting on the chairman’s casting vote. Stansted’s plans to expand the airport’s infrastructure include two new taxiway links to the existing runway and nine additional aircraft stands and to enable combined airfield operations of 274,000 aircraft movements and a throughput of 43 million terminal passengers. 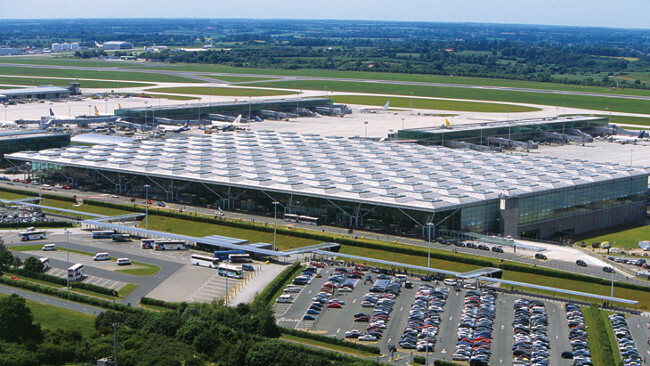 Along with Manchester and East Midlands airports, Stansted is owned by Manchester Airports Group, which is largely owned by local authorities.